This built-in Zip function is actually found already in previous Windows OS versions, such as Windows 7, creating a Zip file from one or more files and folders in your PC. It has nothing to do with your laptop brands though, as long as it has Win 10 OS in it, however this Windows 10 how-to post uses this Lenovo as the device. So the old days, where you will need to install additional Zip software were over since then, because you can actually create Zip file easily without extra software. 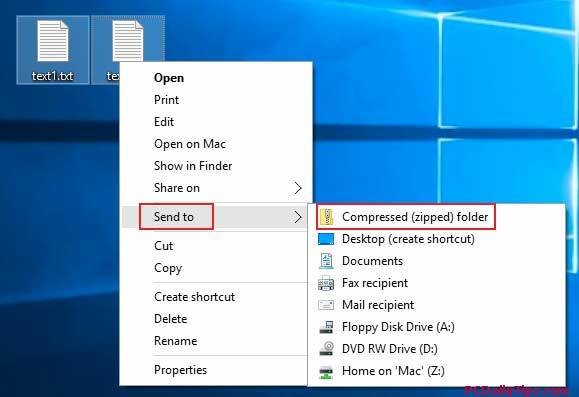 How to Create Zip File in Windows 10? 1. Prepare your file or folder. 2. Select the files or folders you want to send to a Zip. 3. Then you can name the file with your custom name. 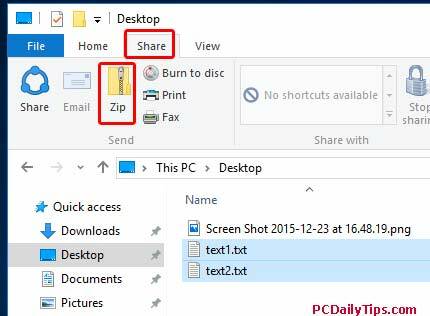 You can use this method, if you have File Explorer open. 1. Select your files or folders, then on the top, click on “Share“. 2. Then click on “Zip” icon. Name your file. Then how do we unzip our file? To unzip the file, you can easily double click the Zip file, and it will extract it.